Q: How do I know when to offer the potty? A: As a culture we have been taught to ignore the signals babies give when they need to eliminate. 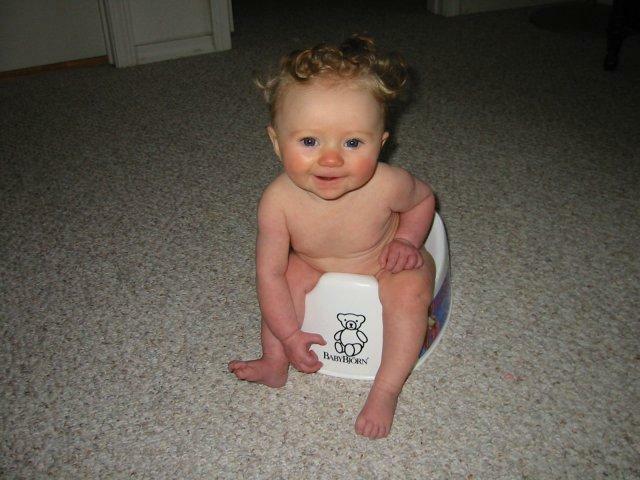 You can learn when it is time to offer the potty much the way you learn when to offer the baby a chance to eat or sleep - by picking up on signals such as fussiness, distractibility, and vocalizations. By choosing to consider these signals in a new way, you will gradually be able to recognize your baby's signals and patterns.